Singer Allan Clayton opens up a colourful selection of classical music from the inside - revealing familiar and unfamiliar works in a new light. 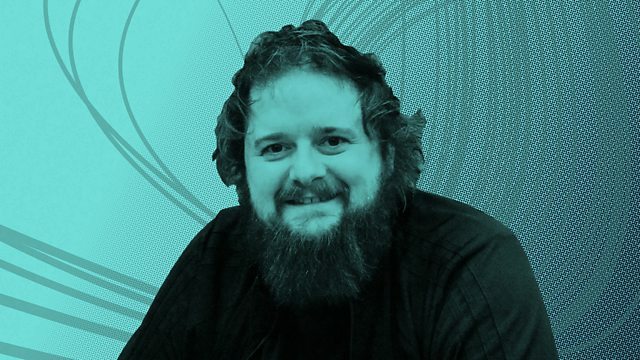 Singer Allan Clayton delves into the evocative sound world of Benjamin Britten, reminisces about the spine tingling feeling of singing in close harmony, and shares what he believes is a perfect performance by Fritz Wunderlich in Mozart’s Magic Flute. He also includes energetic music by an adventurous French composer Charles Tessier, in which Tessier uses nonsense ‘Turkish’, probably as a result of a trip he took to Istanbul in the late 1500s. At 2pm Allan reveals his Must Listen piece, taking us into the violent world of the 17th-century execution of a Scottish witch. Performer: Berlin Philharmonic Orchestra. Conductor: Herbert von Karajan. Orchestra: Boston Symphony Orchestra. Conductor: Aaron Copland. Performer: Thomas Barber. Singer: Allan Clayton. Orchestra: Aurora Orchestra. Conductor: Nicholas Collon. Ensemble: Le Poème Harmonique. Director: Vincent Dumestre. Singer: Fritz Wunderlich. Orchestra: Berlin Philharmonic Orchestra. Conductor: Karl Bohm.